Hey i got paid by snap bomb.. a very good paid to review site and guess what they paid after more than two months since my first post for them! Yet am so glad that they did pay at least.. I stopped blogging for them at $62 but then now am assured that they're sincere just like payperpost, another paid to review site. When i saw the amount in my pay pal i wasn't surprised at all, as ive heard from about they late payment from many others and am happy that they're genuine with me also.. hehe.. So anyone looking to join some ways to make money, just join some pretty good paid to review sites..
Smorty.com.. Has less to offer these days but they pay $6,$8,$10 for a post and they pay every week after the post approval. Sponsored Reviews.com.. The same bidding system but they have a large number of opps and they're paying fairly. There are advertisers lined up to be reviewed. 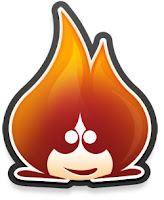 Social spark.com.. They have lots of opps for US bloggers, but even then.. they're fair. They pay monthly. bloggersreview.. A site launged few month back, but i got my first campaign, today, after two months of signing up.. but i think it should pick up. Wow, so many site that can make us earn money. It is really good to join all these services. It not only brings us joy plus some extra money, thanks for the wonder of internet. congrats.. at least they paid you. 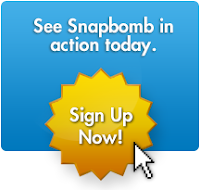 I am a member of the above sites as well, except for Snapbomb.. hmmm..maybe I will join too. hehehe.. It is really great that there are sites such these, at least you can earn some extra bucks, which is really great. Great to hear that you earned from these sites. I signed up for all these websites, but I never get any opportunity from them. Any good advices? Thank you very much for your advice. Ya, I would like to know more about the sites which you earn from, do tell me!